Simple can be stunning. Simple is also often easier to make, from start to finish. A simple quilt is easier to pick fabrics for, easier to cut fabrics for, and easier to piece… which means that you’re more likely to have a completed quilt. 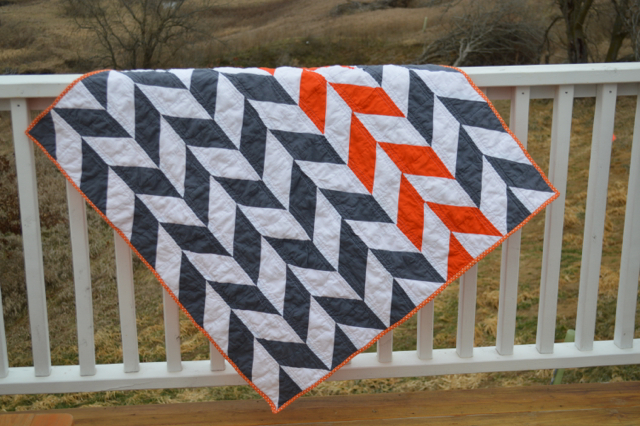 This herringbone quilt is both simple and awesome. A great combination for any quilter. Lear all about the making of the herringbone quilt at Newly Woodwards.